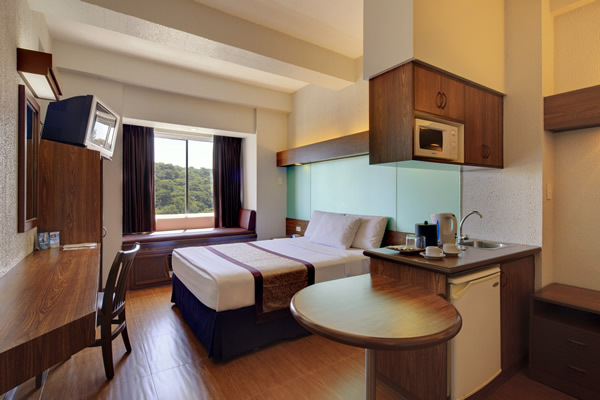 If you’re thinking of getting away and escaping to the City of Pines, you’ll find Microtel by Wyndham – Baguio’s hotel rates really affordable. Here, you can start your day enjoying a cup of coffee, and end it relaxing on our chiropractor-approved mattresses while watching television. 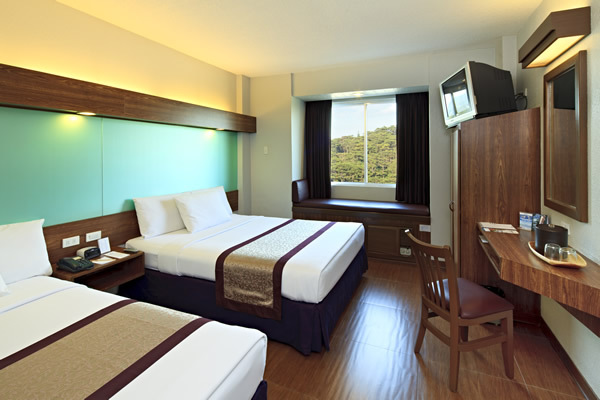 With a sitting area right by the window, our air-conditioned Baguio accommodations are definitely havens of ease and pleasure. 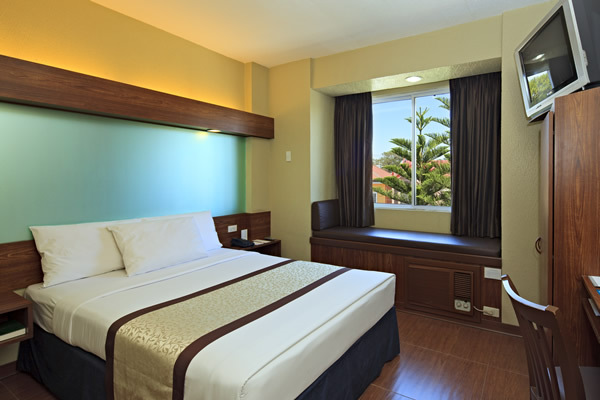 For your utmost comfort, each is furnished with amenities, like an Internet-ready data port, IDD/ NDD phone, radio clock, and full-sized bathroom with hot and cold water. All spaces also promise to give you a worry-free stay with the aid of an electronic key card entry and automated fire safety systems.